Arsenal boss replied on Watford’s captain infamous COJONES comments as gunners are set to face the Hornets. Back in 2017 after the Watford had just beaten the Gunners 2-1, the burly striker accused the opposition of not been up for the scrap. After Watford came from 1-0 down to triumph 2-1 at Vicarage Road in 2017, Troy Deeney slammed the Emirates outfit for lacking fight and the best form. And Gunners fans are excited by his claims that Arsenal are fully prepared for the Hornets’ likely physical approach to the game. The 30-year-old, who will skipper his side in the FA Cup final in May, revealed that he does not regret his cojones comments and is hoping Arsenal lack a bit of fight when the teams meet again. “If I’m out in London now, I get Arsenal fans coming up to me and saying, “That cojones comment was out of order, but fair play for saying what you think”. “Hindsight’s a wonderful thing, and I might have been better off just saving it for the boozer afterwards, but I don’t ever regret it. Arsenal have just won of their last eight away games in the Premier League in a worrying trend which threatens to derail their top-four bid. The Gunners showed a distinct lack of grit and determination in their 1-0 defeat away to Everton last weekend. But Arsenal boss Unai Emery says Arsenal will be ready for what Deeney and his team-mates will throw at them. “We need to be competitive and to be competitive is to use our capacity, being organised, using our quality and winning the duels individually and collectively. The capacity to make the combinations with the ball, breaking their lines and also for the full 90 minutes we have a lot to do defensively on the set-pieces, on the corners and offensively on the set-pieces and corners to see how we can fight individually against them. And Arsenal fans were quick to back their manager’s preparation for what could prove a massive game in their run-in. 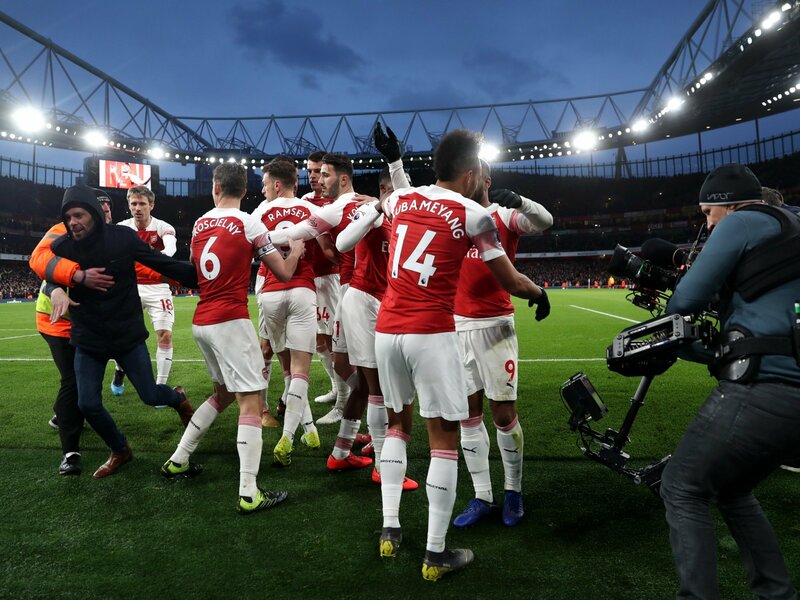 Arsenal have won only eight of their away games in the Premier League while Everton and Arsenal have been great opponent yet this time the determination and ambition to get FA cup seems low. Now is the time when applying pressure actually matters. Arsenal needs to put up the best show in order to answer Troy Deeney and the hornets with efficient strike and defence tonight if they want to keep up the bid for the top four. Boss declares his side will reach the semi-finals stage.